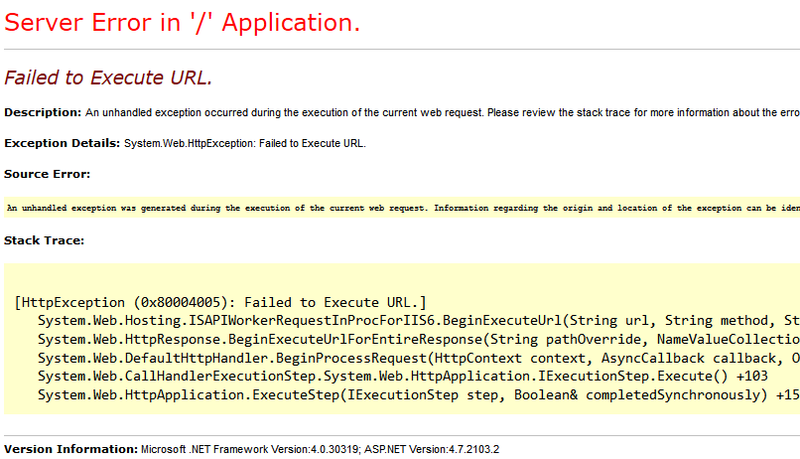 Got this error (System.Web.HttpException: Failed to Execute URL at ISAPIWorkerRequestInProcForIIS6) when starting up my asp.net website. The error occured beacause the project Managed pipeline mode was set to: Classic. When I changed the pipeline mode to Integrated the website started to work.